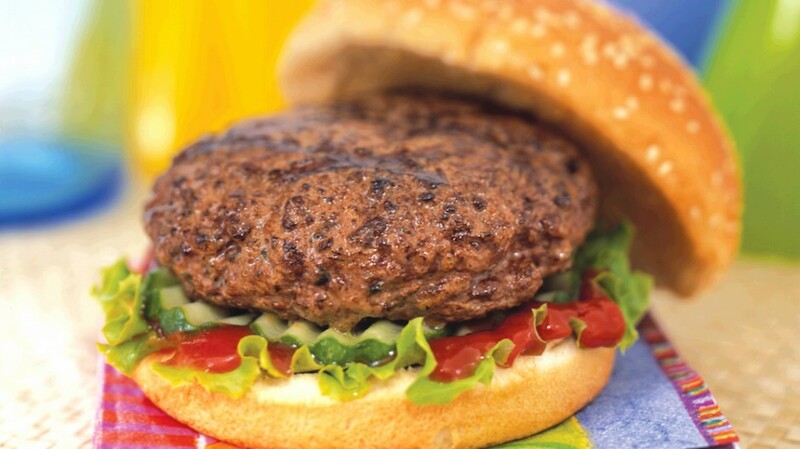 WOW – finally a great-tasting lean burger! Chopped mushrooms and evaporated milk are added for extra juiciness, and Worcestershire sauce is a super-simple seasoning. Use a moderate heat for grilling to avoid scorching. Gently form into six or seven 3/4-inch (2 cm) thick patties. Cover and chill for 1 hour or up to 1 day. Cook patties over medium heat on lightly greased grill for 6 to 7 minutes per side until a digital instant read thermometer inserted sideways into centre of each patty reads at least 160°F.